House Tully called Lord Frey the “Late Lord Frey” because, during Robert’s Rebellion, he delayed arriving with troops until the outcome was clear. As far as I know, however, Ralph Neville was not known for failing to provide military support. For that aspect of Lord Frey’s reputation, George RR Martin may have taken a cue from the fence-sitting Thomas Stanley. This post is continued from Historical Basis of Lord Frey. The fourth husband of Margaret Beaufort (Henry VIII’s grandmother), Stanley was notorious for his political opportunism and tendency to withhold support until the victor was clear. Stanley first displayed this trait in 1459 when the Yorkists were attacking Henry VI. According to parliament, Stanley deliberately ignored a royal summons to bring his forces to fight against the Yorks at Blore Heath. The Lords accused him of being only a mile away with his forces and secretly sending men over to fight on the Yorkist side. Sneaky, sneaky. Thomas Stanley by W.Holl (1836). This print is allegedly based on an extant portrait of Stanley. Ten years later, when Warwick attempted to overthrow Edward IV, Warwick expected Stanley’s support. After all, Stanley was married to Warwick’s sister. Warwick even sent Stanley a cannon, in advance, to thank him. But, when Warwick’s ally, Margaret of Anjou was late to a decisive battle, Stanley held back his forces until she arrived – and all was lost. Stanley was a supposedly loyal servant of Richard III, despite being married to Richard’s enemy’s mother. During the fateful summer of 1485, Stanley persuaded Richard to let him leave court and return to his home in the North. Richard, however, kept Stanley’s son as a hostage to ensure his good behavior. Upon hearing Henry Tudor was invading Wales, Richard ordered Stanley to raise troops and join Richard immediately. When Richard III and Henry Tudor’s armies finally met at Bosworth field, Stanley kept his army on the sidelines – joining forces with neither Richard nor Henry – until it was clear who would win the battle. Fence-sitting and siding with the victor made Stanley very rich – the victorious kings rewarded him. After the Battle of Bosworth Field, when Henry Tudor defeated Richard III, Henry showed his gratitude to his “right dearly beloved father”—Stanley was Henry VII’s stepfather—by making Stanley an earl. Later, Henry made Stanley godfather to his heir. Stanley was a political realist, survivalist, and opportunist. In an era that valued loyalty, he waited to truly commit until the last possible minute. This wasn’t necessarily just to survive. After all, he could just not provide any support. Rather, once it was clear who would ultimately win, he did give military support so he could win favor with the victor. This is opportunism and not survivalism. However, before I defend Stanley too much, I should mention some historians think Stanley killed the Princes in the Tower, the two boys who went missing in Richard III’s reign. Appointed Constable of England in 1483, Stanley controlled all access to and from the Tower of London when they went missing. Stanley, as stepfather to Henry VII, who could not be king if the true heirs lived, had means, motive, and opportunity. Looks like Thomas Stanley lived and died well. I hope the same isn’t true of Walder Frey. I completely agree! Walder Frey needs to get his comeuppance and then some. I had EXACTLY the same thought about Stanley’s ‘I have other sons’ comment when Walder Frey said his line. This is a brilliant comparison Jamie. And I echo the sentiments of the other comment. I kind of doubt Walder is going to be let off as lightly as Stanley was!. This comment made me very happy. It makes me feel like I’m not just “shooting in the dark.” Thanks, Martine! Fun fact: Thomas Stanley was the son-in-law of Richard Neville, 5th Earl of Salisbury, the Yorkist commander at the Battle of Blore Heath. That’s probably why he ignored the royal summons to fight against the Yorkists. As a descendant of Stanley, if you have any more fun facts about him, please share them. That was a great one! Thomas Stanley was a direct descendant of King Edward I. His first wife, Eleanor Neville, was a direct descendant of King Edward III. His descendants include Franklin D. Roosevelt, John Kerry, and possibly Peter Beverley, Speaker of the House of Burgesses. That is very interesting. Thanks! The first thing that came to mind was “I wonder if there is any resemblance.” But, that’s a silly question: I guess it was too long ago. Ah, that’s a very cool fun fact. Thanks!!! I’ve always thought that Frey’s conduct is closer to that of Henry Percy, Earl of Northumberland. Henry Percy was even more skilled than Stanley at remaining uncommitted. At Bosworth, he showed up with his host, and just sat there. Stanley did fight, once he’d decided who to fight for. Your comments about Percy are really interesting. That particular Percy (the 4th earl) seems like a bit of a jerk. He was the one whom rioters lynched to death while his retainers stood by and did nothing, which IMO speaks volumes. It definitely fits. A couple of days ago I would have “caved” and said “Yes, how could I overlook that…” But I just started researching a theory about Richard II, Bolingbroke, and House Bolton, that ties in with Walder Frey and Ralph Neville, so I tend to disagree… I’m hoping to have the post out by early next week. We’ll see if it is convincing! :>) lol. Anyway, thanks again for your great comments and keep them coming. Your comments are always interesting and engaging. Actually let me revise that. I’m too focused on my 1399 research. Your theory about Percy is very interesting. I had a thought today. Didn’t the US in both WWI and WWII behave similarly to Neville/Frey? We entered both of these wars late and sustained far fewer casualties than countries like England and Russia, and came out ahead as a result. Huh. That’s actually a very interesting comparison. 1. It is well known where the loyalty of the United States lay during both world wars. 2. It is not considered treacherous to want to stay out of a bloodbath. 3. The US had no feudal fealty towards England in either war. John Kerry eh? Wouldn’t have suspected it, not surprised. I’m late to the party, but this is really interesting. I’ve been reading up about the War of the Roses recently and finding all sorts of fascinating ASOAIF parallels. In the book, Catelyn actually does threaten to kill his (mentally disabled) son, Jinglebell, but Walder replies: “But he is a grandson, and he never was of much use”. So, both versions have similiarities to this story, in their ways. Like Roose, Stanley masterfully used the war and the battle as a way to put his rivals in the position to be killed or executed (or in Roose’s case, imprisoned) so he could expand his influence, lands and power. 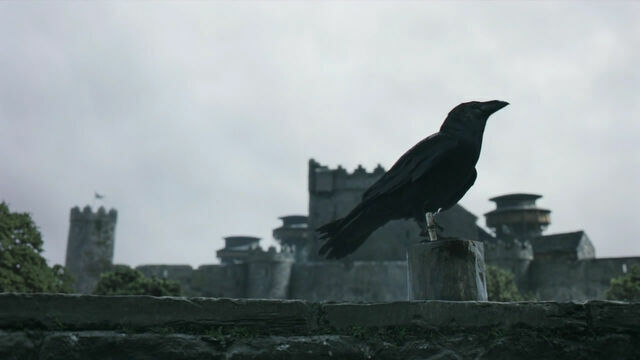 Oh, and further with the Roose parallel, in addition to Roose sending his rivals for lands in the North to die/get captured in Duskendale, there’s also Hornby = Hornwood, a reference to another land dispute the Boltons were involved in. And if you believe certain theories about Stanley you reference in your article, he was as good as the Boltons in doing a frame-up job. That’s very interesting Timetravellingbunny. Thank you very much. BTW, I don’t think it is inconceivable that both characters share traits with Stanley. GRRM does that quite a bit. It has been quite a while since I wrote this article, but I’m surprised I didn’t mention how whom Catelyn kills in the book is more similar to the real history with Stanley sons (in that Jinglebell was male). I was surprised when I saw the Red Wedding on TV that they changed Catelyn’s victim to a woman – Walder’s wife – but the spirit is the same: the cold replacement. I’m fascinated but not surprised to hear that a land dispute was at the heart of Stanley’s betrayal. I think that the struggle to keep and preserve land is a frequently underrated cause of late medieval conflicts. After all, Bolingbroke overthrew the throne because of an inheritance dispute. I’ve read that one reason that Richard III did not get the support he needed at Bosworth was because, according to what I’ve read — nobody throw rotten vegetables — the Yorkists were perceived as frequent abusers of inheritance rights. It is something like only eight noble families showed up to fight at Bosworth for either side. If nobles really did perceive the Yorkists as playing fast and loose with inheritance rights, I think it represents a fatal miscalculation on their part. They didn’t realize that men in that period were willing to die for their land and legacy and that’s why they took a gamble and supported one side or another (to gain more land, to preserve what they had, etc.). Ironically, the nobles who so resented the Plantagenet line’s land grabs that they didn’t support Richard at Bosworth then ended up with the ultra grasping Henry Tudor -who removed their right to raise, arm, and supply armies of retainers. The grasping nobles ended up under the rule of an bigger grasper than themselves….. I think Henry Tudor may have been far worse overall than the Yorkist kings – at least in some ways. He was certainly worse for the nobility. I read a while back that the cost of food climbed to 90% of the average workers wages – granted the inflation was probably there in Richard’s reign too. But with policies like Morton’s Fork everyone must have surely been feeling the pinch. I also think that what we would think of as “human rights” declined under the Tudors. Torture became more widely used — and talk could be held as treasonous. History comes full circle sometimes, I think! As the French say- the more things change, the more they stay the same. Still, we’re also seeing something major this week , I agree with you. Maybe one of the outcomes will be a re assessment of RIII after all. Would really love to know what G R R M makes of this week’s events. Yes, and I find it funny how Richard III was supposed to be such a tyrant, but it turns out he had to do things like make public denials in court of embarrassing rumours about him, worry about getting support of this or that group of nobles and secure his power base, and had trouble even making people like Stanley send forces into battle for him… actual tyranny means you have absolute power and don’t have to worry about law or reputation, and in actual tyranny, people quickly “disappear” or get arrested/tortured for saying anything against you, or are so frightened to begin with that they autocensor themselves. I would also love to know GRRM thinks. I bet he is following all the R3 coverage. The whole Richard III discovery has been so amazing. In fact, it is truly incredible they actually found his grave in the first place. I was fascinated to read that their forensic analysis indicates his diet changed when he became king, got richer. During his reign he drank 1bottle of wine per day and ate exotic meats like swan and egret.